Spring is upon us, and with that comes warmer weather and new life. Flowers begin to bloom and trees begin to bud. Just like flowers and other plants, trees also need to be maintained in order to grow properly each year. There are several things that should be done to prepare trees for spring. Some of the best things you can do for trees to produce healthy growth is to prune them or provide them with fertilizer. Taking care of your trees prevents illness and keeps your trees healthy all year long. Follow these tips to care for your trees this spring. Believe it or not, trees do require some attention during the winter months to prepare them for springtime. One of the best things you can do in winter is to start at the top of the tree and cut them back, reducing unnecessary branches. This is important because it ensures that the trees are able to produce enough nutrients to supply the whole tree with what it needs. It also keeps the tree from being too thick, which can affect the photosynthesis process that trees need to flourish. Lastly, fertilize trees with nitrogen and water a few months before spring begins to give it the healthiest start possible. If this sounds like too much for you, a busy homeowner, then call upon the expertise of Tommy’s Tree Services. Our tree services in Austin will provide your tree with everything it needs in the winter to be strong and healthy in spring. For the best results for your trees this spring, Tommy’s Tree Service Austin, Texas tree services will also add cow manure or compost to the soil around your trees. Manure or compost has a lot of beneficial nutrients that will give your trees an added boost so it can grow healthy all season long. We also water the soil around the tree until the ground is properly saturated so that the roots can absorb all the nutrients. Rely on our tree services to make the trees in your yard big, beautiful, and green this spring. Lastly, prune any branches or parts of your trees and look unhealthy or dead. Look for black branches or branches affected by disease. Removing these guarantees that your trees won’t have to fight off unhealthy bacteria and will have time to heal properly. Just like people, trees need continuous care. You can count on our tree services in Austin, Texas to do what is necessary for healthy tree growth this spring season. 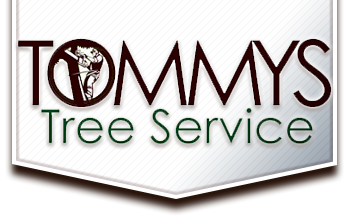 Call Tommy’s Tree Services for more information about our services.